The most notable features of Morecambe are the view across the bay to the Lake District, the Midland Hotel, the Winter Gardens, the walk along the promenade with the Eric Morecambe statue. Along Morecambe Bay are several villages popular for day trips, walkers and caravanners. From the south these are Knott End, Glasson, Silverdale, Arnside, Grange over Sands, Cartmel, Holker, Ulverston, Walney Island. Several other small towns are just inland including Carnforth and the city of Lancaster. There are several houses round the bay worth visiting, these are Levens Hall, Sizergh Castle, Leighton Hall and Holker Hall. 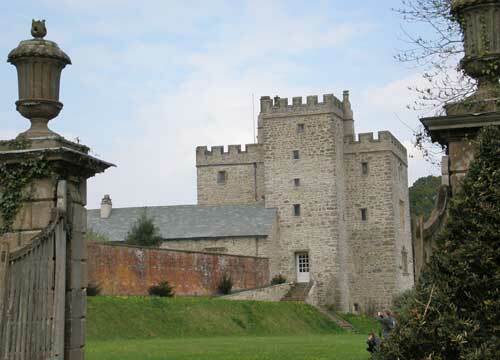 Natural features include the RSPB site at Leighton Moss with it's visitor centre and birdhides, the tidal bore along the River Kent, walking up Arnside Knott over to Arnside Tower and back along the coast. Morecambe Bay is a large stretch of water with trecherous sands. It is possible to take a guided walk across the bay from near Morecambe to Grange-over-Sands, it would certainly be foolhardy not to use the guide as the sinking sands move with the tide and weather. A recent visit to the Knott End coastguard showed how easy it is to be totally trapped with only your ankles in the sand. Those who like technology can visit the nuclear power station at Heysham. 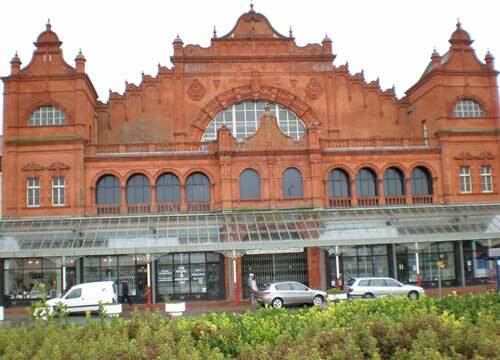 Photo of Morecambe Winter Gardens, a classic building. 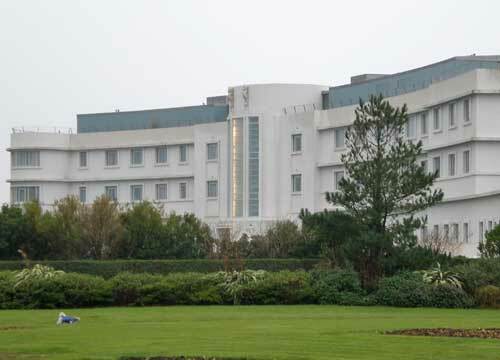 Photo of the art deco Midland Hotel, Morecambe. Located right next to the beach. 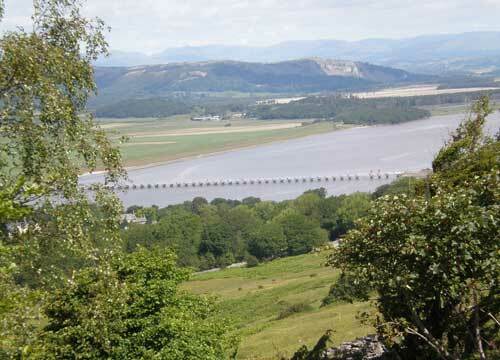 Photo of Arnside railway bridge from Arnside Knott. 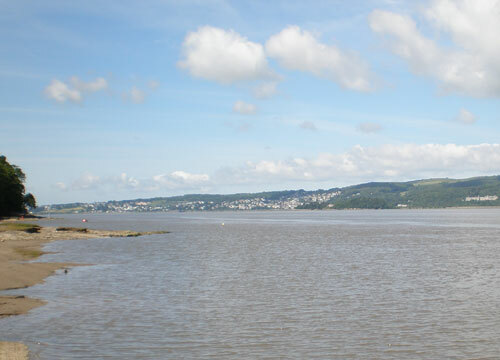 Photo of Grange Over Sands from Arnside. 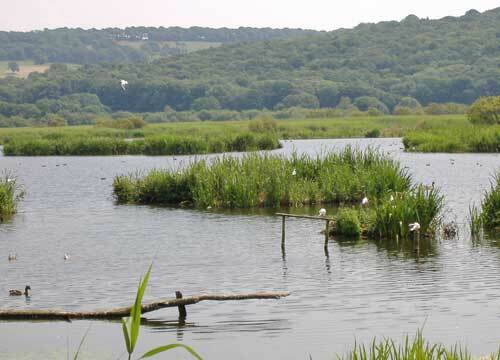 Photo of Leighton Moss RSPB bird spotters paradise. 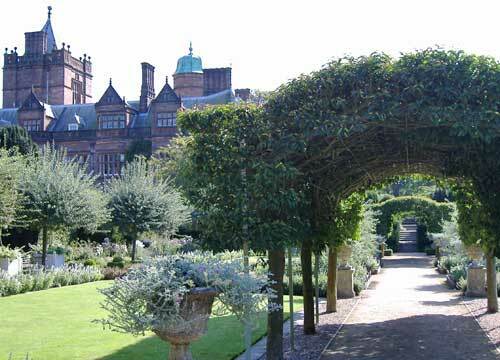 Holker Hall on the north side of the bay. 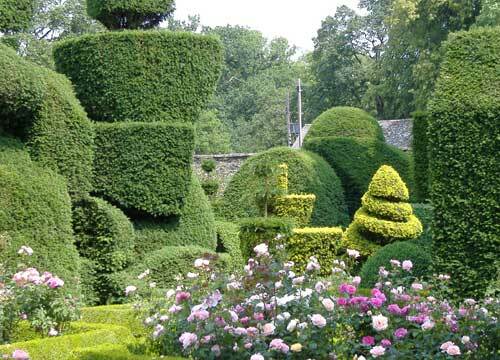 Levens Hall topiary on the east side of the bay. 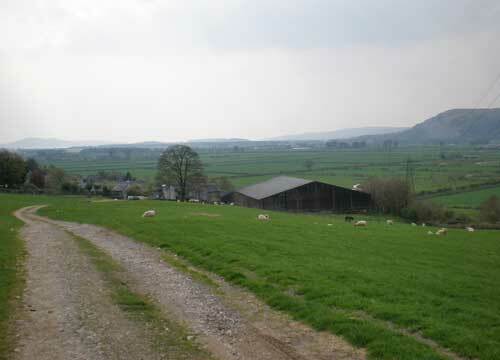 The broad Lyth Valley leading to Morecambe Bay on the walk from Sizergh Castle to Levens Hall, the longer route. Sizergh Castle, National Trust. Pleasant garden, small lake and cafe. 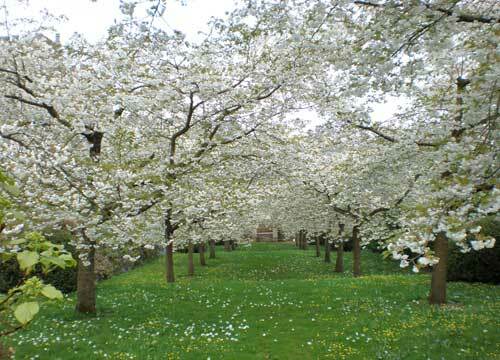 Sizergh Castle blossom in spring.